Two of the most powerful politicians in the Western world followed a spiritual journey through Blackburn Cathedral, to pray for peace before radical images of death and resurrection. 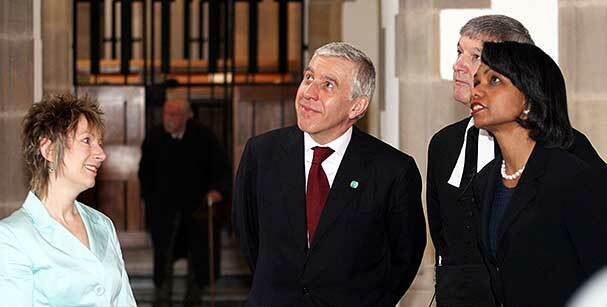 US Secretary of State Condoleezza Rice visited the Cathedral during a three-day visit to Blackburn and Liverpool at the invitation of Foreign Secretary and Blackburn MP Jack Straw. Climax of the Cathedral visit came as the two politicians lit candles for peace under Penny Warden’s painting of Christ in the tomb, given in memory of tsunami victims.